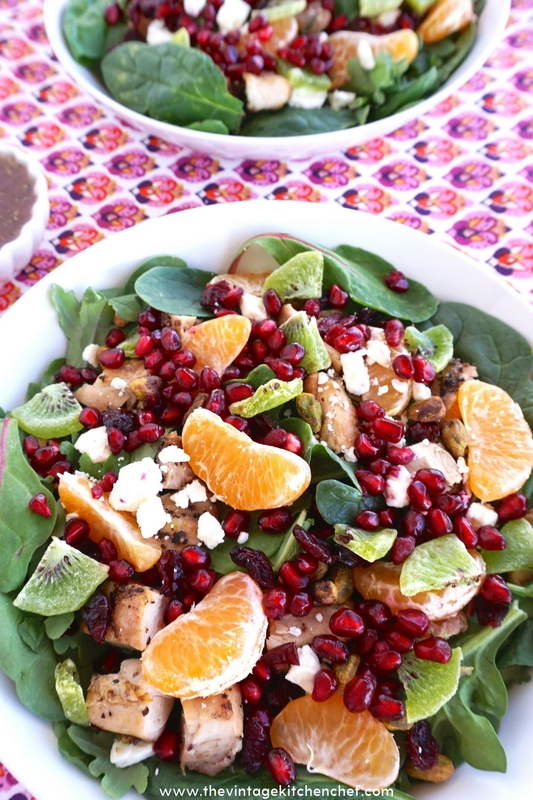 Lots of flavors and vibrant colors make this holiday salad one you'll want to enjoy throughout the year! It's a fresh and healthy main entree salad. Lots of flavors and vibrant colors make this holiday salad one you’ll want to enjoy throughout the year! It’s a fresh and healthy main entree salad. You won’t believe how yummy this salad is; it seriously bursts with flavor. When I was a kid, I always got excited when they put the pomegranates out in the fruit and veggie section of the grocery store! I doubt that my mom was too thrilled though because I’m sure I was utterly messy with them! Now I love the fact that I can buy pomegranates already prepared and don’t have to make a mess getting them ready. If you buy a whole pomegranate, there are plenty of excellent instructions on Pinterest to guide you through an easy way to prepare them, though. WOW! How delicious does this look? I admit it, I sometimes overindulge during the holidays, and even though I know, I won’t look and feel my best I sometimes lack self-control and eat way too many seasonal delights and feel myself craving something healthy. 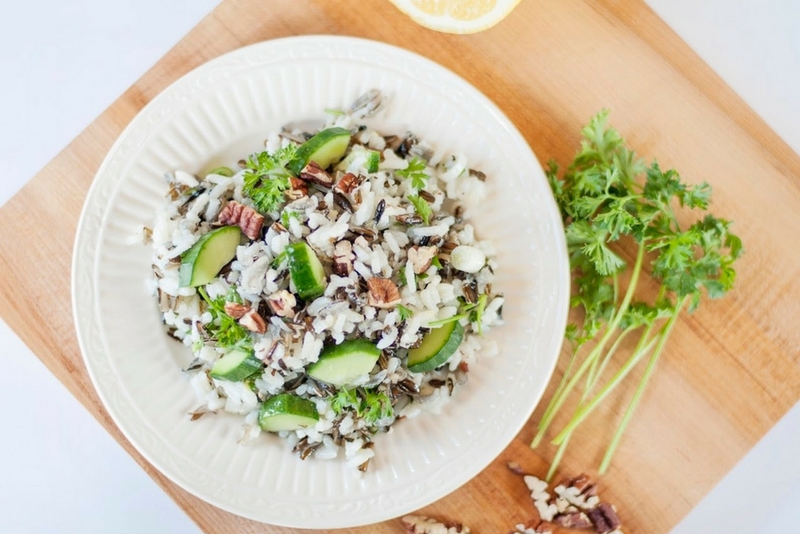 This salad will give you that much-needed boost from healthy eating after all of the holiday goodies and feasting! Lots of healthy greens, fruit and lean protein is perfect to provide you with that burst of energy you need to get things done. 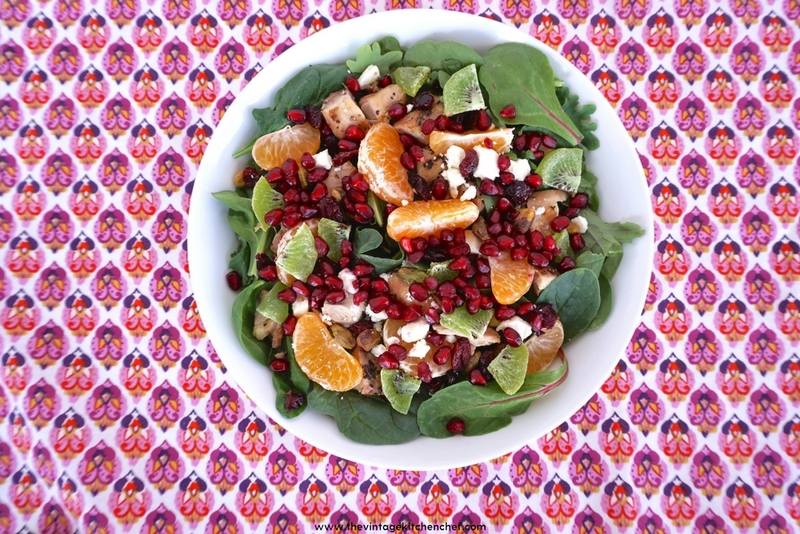 Chicken and Pomegranate Holiday Salad is a favorite of mine. Not only is it amazingly tasty, but it looks great, too. Dried kiwi, pistachios, and feta cheese add some fun textures to make this a bright, flavorful salad. I always think that what is pleasing to the eye is just more pleasing to the taste buds and this yummy salad fits the bill. 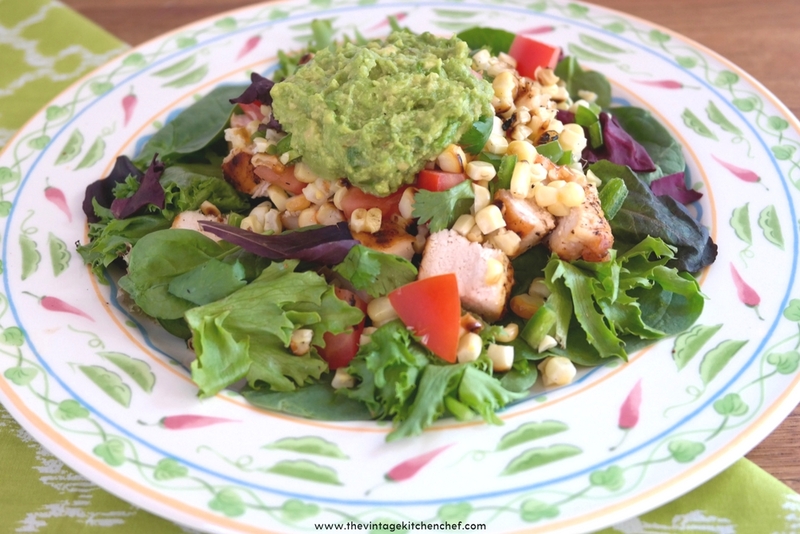 Colors, textures and flavors galore make this salad the perfect healthy meal! Lots of fresh flavors and colors! 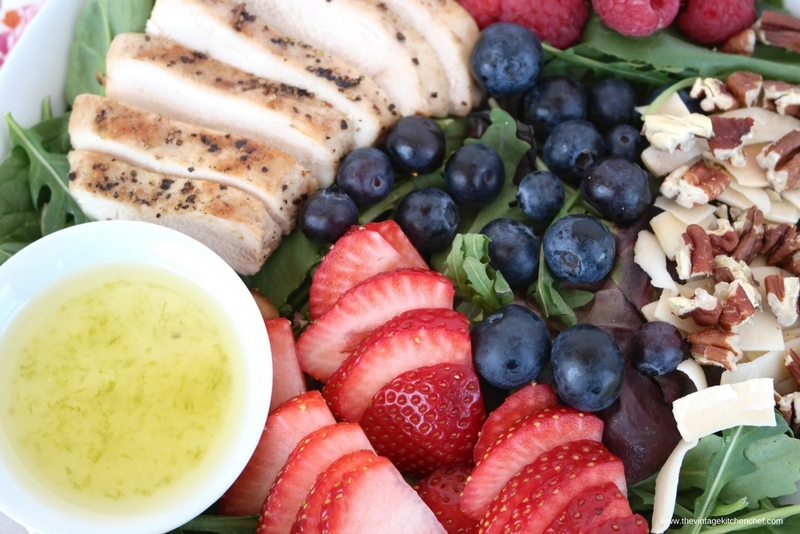 You will want to enjoy this holiday salad year round! Amounts are for two salads, but can easily be increased to feed more! Layer grilled chicken on top of greens. Top off with feta cheese, pomegranate seeds, pistachios and kiwi. Combine all ingredients and in a small bowl and whisk or shake to combine. Just before serving divide vinaigrette in two servings and pour over salad.